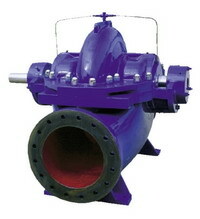 - Operating Pressure: 150 PSI (1000 kPa) standard, 240 PSI (1600 kPa) optional. 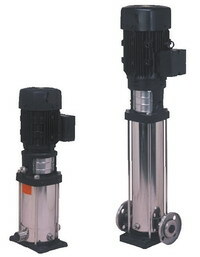 - Hydrostatic Test Pressure: 225 PSI (1500 kPa) standard, 360 PSI (2400 kPa) optional. 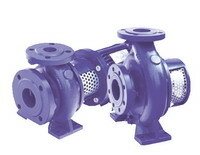 - Operating Temperature: 14°F (-10°C) to 221°F (105°C) standard, 320°F (160°C) optional. 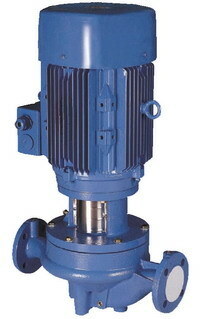 - Operating Speed: 60 Hz, 1750 & 3500 rpm and 50Hz, 1450 & 2900 rpm. - Ambient Temperature: To a maximum +104°F (40°C). 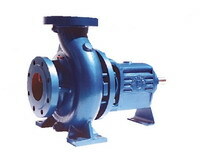 - Liquid Temperature: Standard design: -5°F to +194°F (-15°C to 90°C ). - Liquid Temperature: Hot water design: 5°F to +248°F (-15°C to 120°C ). - Min. Suction Pressure: Two (2) feet (0.6m) above required NPSH. - Ambient Temperature: Maximum +104°F (40°C). 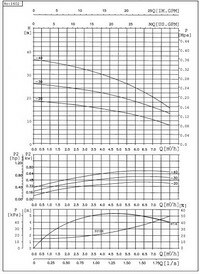 - Liquid Temperature: Standard design: 5°F to +194°F (-15°C to 90°C). - Liquid Temperature: Hot water design: 5°F to +240°F (-15°C to 120°C). - Max. Operating Pressure: 150 PSI (1000 kPa). - Liquid Temperature: 5°F to 248°F (-15°C to 120°C). - Max Working Pressure: 232psi (16bar).